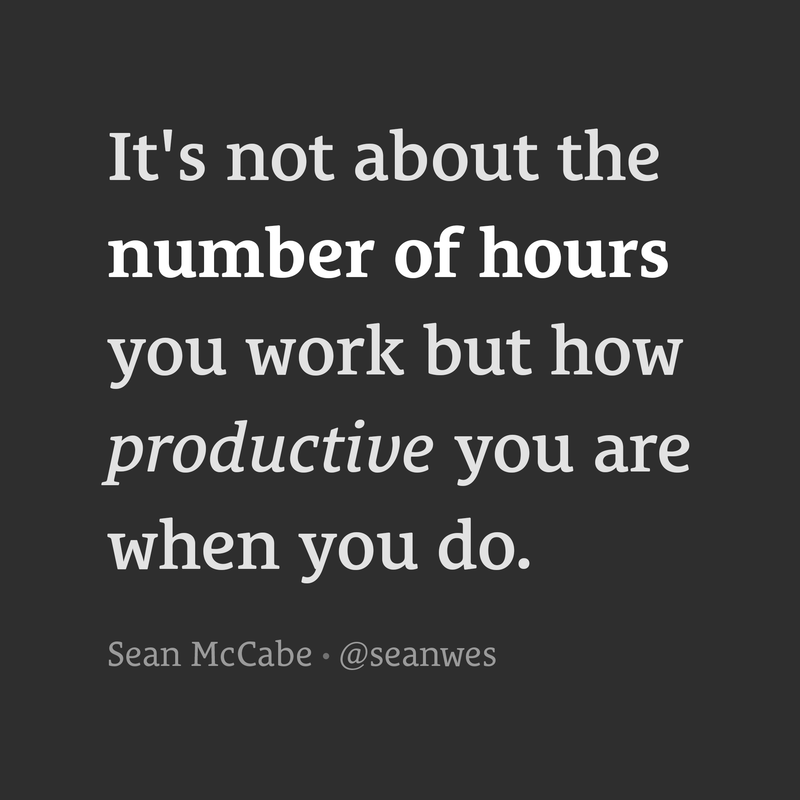 It’s not about the number of hours you work. Please sleep 8 hours. I did the 18-hour work days for far too many years and it was bad for my health. Getting good sleep and managing your energy is so important. I used to feel guilty for any moment that wasn’t spent pushing myself and working harder. I thought it was all about the number of hours I worked. More important than the number of hours is the quality of hours you work. It’s okay if you only have a small amount of time to dedicate to your side project or business. You don’t need work 18-hour days. The 18 hours some put in are rarely quality hours anyway. Don’t get caught up in the numbers and certainly don’t compare to others. You have no idea if the hours they’re putting in are actually good hours, and their circumstances are always different. Hustle for the sake of hustle is pointless. Hustle without rest leads to burnout. Do not misread this: hustle is important, but it doesn’t mean you should work to the detriment of your health. Prioritize sleep. Protect your energy. Focus on doing good work, wasting less time, and putting in quality effort during the time you do have. Call this good enough. You deserve to be proud. You did good work today.